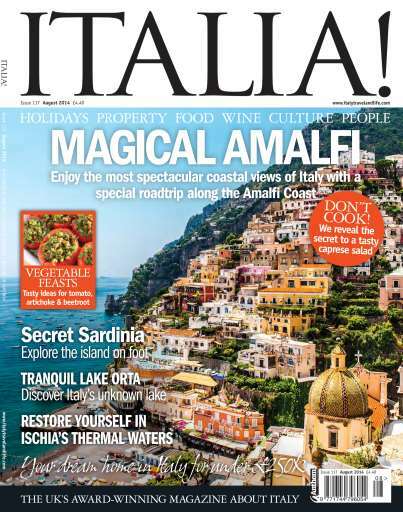 To cool you down, we have some delightful coastal destinations this issue. 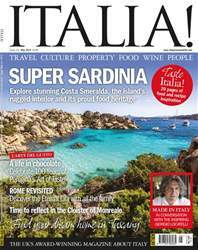 Relax on the island of Ischia (page 48) or discover the best trekking on the island of Sardinia with native Sardinian Giulia Dessi’s trekking routes (page 39). 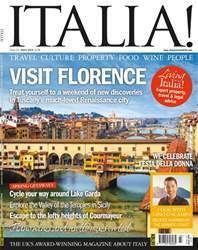 Feel a mountain breeze in your hair as you try biking in the Dolomites (page 64) or enjoy the views without the legwork with a road trip along the Amalfi Coast (page 57). 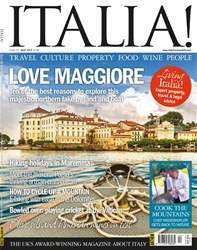 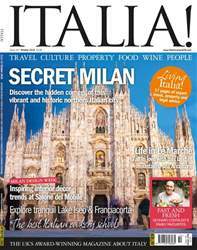 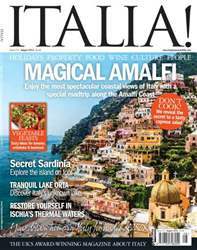 In the kitchen we have tips and recipes to get the best from Italian produce (page 74) and Mario Matassa’s summer picnic hamper makes (page 69).